Great Lakes Chapter of SPOOM promotes historical old mills throughout our region; Illinois, Indiana, Michigan, Ohio, Wisconsin and beyond. We achieve this through various methods. We follow in the footsteps of Fred Beals, one of our Great Lakes Chapter’s first Board of Directors, who traveled and located mills, maintained his mill list and shared his knowledge and interest in mills as the National SPOOM, Mill List Coordinator. We continue this tradition today with our Chapter members who contribute locally and nationally, sharing their knowledge with each other and educating the public. The Great Lakes Chapter has developed a website with thousands of historic mill photographs, hundreds of mill histories and over fifty mill videos. 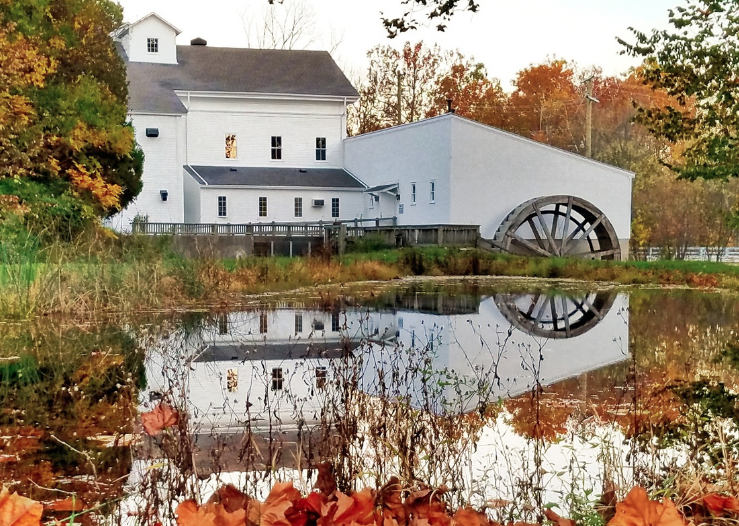 We support our regional mills and beyond with web pages that identify “Mills Open to the Public.” We also have a page that promotes “water-powered, stone-ground grains” for sale, locally and nationally. We publish a monthly electronic newsletter viewed by thousands. Our GLC newsletter has articles about anything mill related. These articles cover subjects ranging from historical documentation, restoration projects, mill events, fund raisers, photographs (historical & current) and more. Our contributors include millers, attributed newspaper articles, historical societies, historians, and photographers. Great Lakes Chapter has had more than one hundred meetings since our inception in 1986. At our Spring and Fall Meetings, we tour one or more of our mills and have a brief meeting. One of our favorite aspects of our meetings is the opportunity to hear from our millers about their current milling activities. Afterwards we might visit local historic sites such as round barns, covered bridges, canals or, we may have a speaker. The heart of Great Lakes Chapter of SPOOM is its members. Once a member has joined Great Lakes Chapter, they continue to renew their membership virtually every year. As a consequence, our members become, not only an intricate part of our organization, but they have a shared camaraderie.